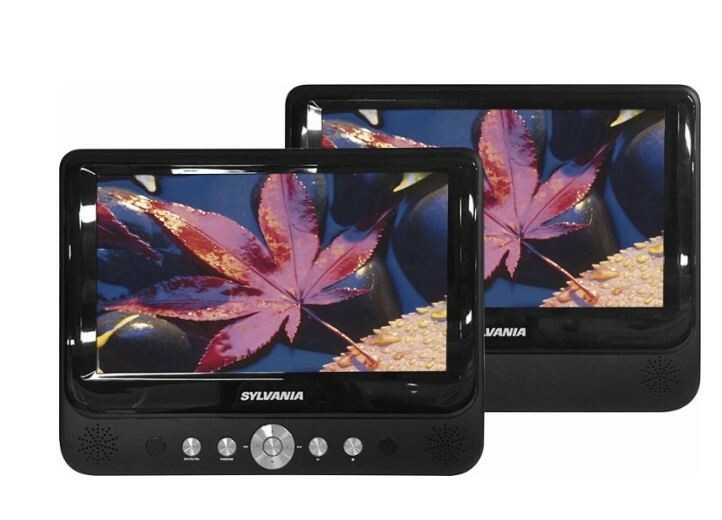 This Sylvania SDVD9957D 9" Dual-Screen DVD Player is in great working condition. 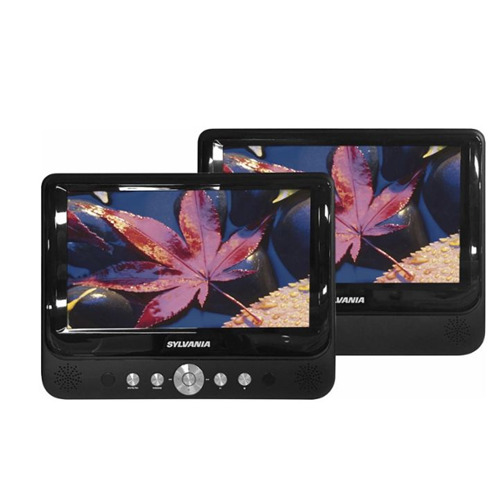 Include DVD, DVD+R/RW, SVCD, VCD, CD, MPEG4, MP3 and JPEG, so you can enjoy your favorite media on the go. Let you share a DVD to watch movie simultaneously. Allow you to attach the screens to your vehicle's headrests. Lets you listen to media privately without disturbing others. Include A/V and stereo audio output.